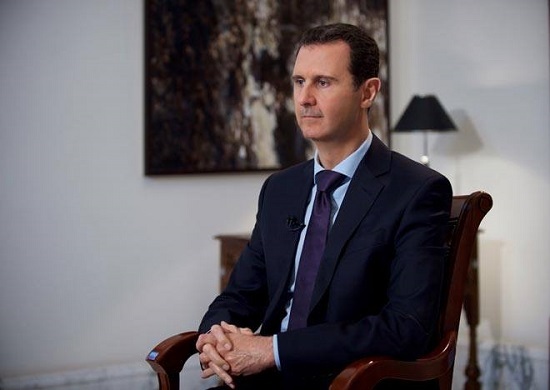 Bashar Al_Assad - President Bashar Al-Assad's AFP Interview, February 12, 2016. 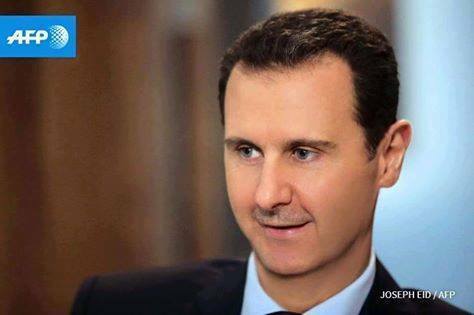 Home > President Bashar Al-Assad > Interviews > 2016 > President Bashar Al-Assad's AFP Interview, February 12, 2016. 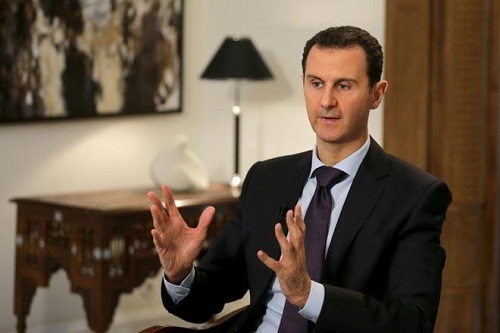 President Bashar Al-Assad's AFP Interview, February 12, 2016. 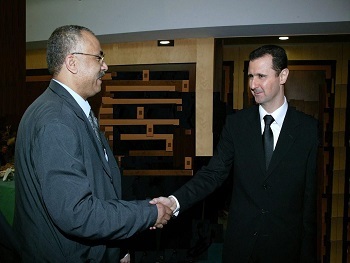 Journalist: Mr. President, we would like to thank you for taking the time to answer our questions in these crucial moments in the history of Syria and the region. Question 1: How do you feel when you see tens of thousands of your citizens starving, running away from hunger, from their areas, which are being shelled by your Russian allies, and trying to cross the borders to Turkey? And how do you feel when you see the pictures of them drowning in their attempt to cross the seas? However, when the cause of this suffering is the terrorists, not the Russian shelling, as claimed by Western media, and when one cause for migration is the almost five-year-old embargo against the Syrian people, naturally my, and every Syrian official’s first task is to fight terrorism essentially using Syrian capabilities, but also using our friends’ support in the fight against terrorism. That’s why I say the problem of Syrian refugees abroad, as well as the problem of hunger inside Syria, as you referred to it, is a problem caused by terrorism, Western policies, and the embargo imposed on the Syrian people. Question 2: Mr. President, since you are talking about actions rather than emotions, can we talk, or at least think, about the possibility of putting an end to shelling civilian populations in order to alleviate the suffering of these civilians, and also lifting the blockade imposed on certain areas? President Assad: The conflict has been, since the beginning of the crisis in Syria, about who wins the support of the people in Syria. Consequently, it doesn’t make sense for us to shell civilians if we want to win them to our side. This is in theory. Practically, while moving around in Syria, you will find that in any area under the control of the state, all sections of Syrian society, including the families of the militants, are being cared for by the state. What is more is that in a city like Raqqa, which is under the full control of Daesh (ISIS), the state continues to pay the salaries of employees and send vaccines for children. So, it doesn’t make sense for the state to shell civilians while doing all the above, unless we are talking about mistakes which happen in every battle. The general rule is that there are innocent victims in every war. This is a rule of thumb in wars, but this is definitely not the Syrian state’s policy. President Assad: I would like to ask every person who left Syria to come back. That’s natural but not enough. Emotions are not enough. They would ask: “why should I come back? Has terrorism stopped? Have the basic requirements for life been restored?” Many of those who have emigrated are neither against the Syrian state or with the terrorists, but sometimes there are circumstances which force people to emigrate. So, my answer to this question is: when terrorism recedes, and things are better, they will return of their own volition without any invitation. So, instead of asking these people to return, I’ll call on the European governments, which have been a direct cause for the emigration of these people, by giving cover to terrorists in the beginning, and through the sanctions imposed on Syria, to help in making the Syrians return to their country. Question 4: Mr. President, will the Syrian state regain control over Aleppo in the next few days? If so, what is next? Is it extending full control to Lattakia, Aleppo, and Idleb? President Assad: The battle in Aleppo now is not about regaining control over Aleppo, because the Syrian state is there; but the main battle is about cutting the road between Aleppo and Turkey; for Turkey is the main conduit of supplies for the terrorists. The battle is going on now on more than ten fronts at the same time, from north, to south, to the east, to the far east too, and to the west in Lattakia. It was going on in Homs, and now it’s over. So, all these stages are moving in parallel. 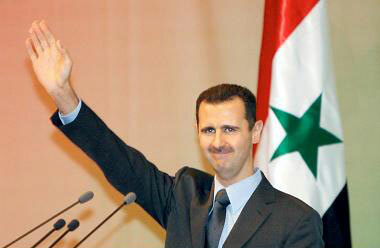 Question 5: Do you think, Mr. President, that you can regain control over all Syrian territory? And what is the timeframe you have for that now? President Assad: Regardless of whether we can do that or not, this is a goal we are seeking to achieve without any hesitation. It makes no sense for us to say that we will give up any part. The timeframe is dependent on two scenarios. Suppose that the problem is purely Syrian, i.e. that Syria is isolated from its surroundings, we can put an end to this problem in less than a year by moving on two fronts: fighting terrorism and political action. The second scenario – which is the case now – taking the shape of continuing supplies to terrorists through Turkey, Jordan, and partly from Iraq – because Daesh (ISIS) exists in Iraq with Saudi, Turkish, and Qatari support – naturally means that the solution will take a long time and will incur a heavy price. So, it is difficult to give a precise answer about the timeframe. President Assad: The question is: for how many years will Turkey and Saudi Arabia continue to support terrorism. That is the question. And when will the West put pressure on these countries to stop supporting terrorism. Question 7: Mr. President, can we know who is your main enemy? Is it the so-called moderate opposition and the Islamists, or is it Daesh (ISIS)? I’m asking because everybody can see that you are targeting, with your shelling and blockade, the areas under the control of this opposition and these Islamists. Who are your real enemies? President Assad: I don’t think that the term “opposition” can be used, in France or anywhere else in the world, to describe somebody carrying a weapon. Opposition is a political act. Suppose that you mean to say “moderate terrorists,” this is a different term. Saying that, you mean that they do not belong to Daesh (ISIS), al-Nusra, or to these extremist groups. Obama said that the moderate opposition is a fantasy. Biden said the same thing. But what’s more important is reality which says that such an opposition is non-existent. Most of the militants belong to extremist groups, such as Daesh (ISIS), al-Nusra, Ahrar al-Cham, and others. So, my answer is that every terrorist is an enemy. 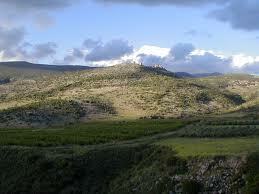 We respect every political opposition; and we do have political opposition inside Syria. They adopt tough positions against the state, and we are not attacking them. Question 8: I would like to get this straight. As far as you are concerned, there’s no difference between these armed groups, on the one hand, and Daesh (ISIS), al-Nusra, and others, on the other? President Assad: Legally speaking, there is no difference. The state will confront all those who carry weapons. It will not ask them about their ideology. But the difference is that the extremist groups refuse to have any dialogue with the state. They believe that they will fight, die, and go to heaven. This is their doctrine. The other groups are not ideological. Most of them have been misled. They got involved in dialogue with the state later. Some of them have laid down their weapons, and some are actually fighting with the Syrian Army today. We grant them amnesty in return for laying down their weapons. 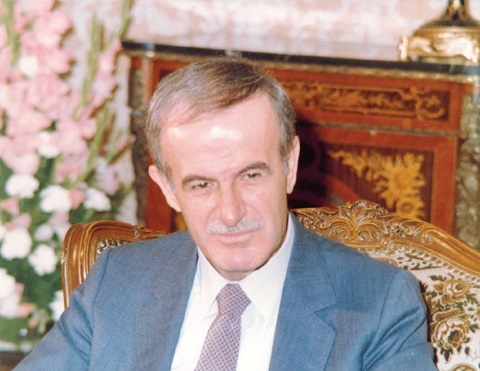 Question 9: Mr. President, what do you think of Jaish al-Islam and Ahrar al-Cham? They did negotiate with you, and went to Geneva. President Assad:They went as part of the opposition formed by Saudi Arabia, because it is Saudi Arabia which supports terrorism worldwide. So, it is only natural for the representatives of Saudi Arabia to be terrorists, not politicians. Question 10: So, you will not negotiate with those. 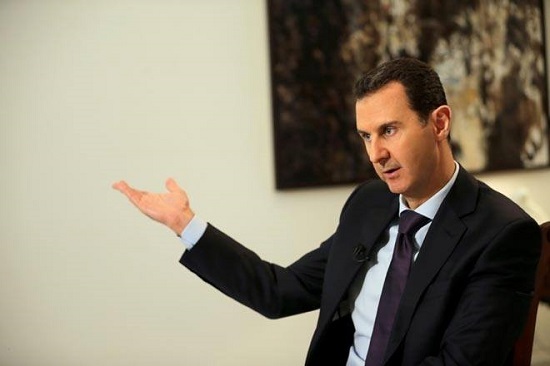 President Assad: In principle, direct negotiations were not supposed to take place in Geneva 3. They were supposed to take place through de Mistura. And here we should be precise: we are not negotiating with Syrians, but with representatives of Saudi Arabia, France, the UK, and others. So, if you mean Syrian-Syrian dialogue, the answer is naturally no. Dialogue with these people is not a Syrian-Syrian dialogue at all. A Syrian dialogue is that conducted with Syrian groups which have grassroots in Syria, like the political opposition in Syria, for instance. Any persons calling themselves opposition but belong to foreign states or foreign intelligence services do not represent Syrians in the dialogue, and simply we do not consider them Syrian. Question 11: You said that you were going to negotiate. All those who went to Geneva were based outside Syria. Can you explain? Question 12: Mr. President, you talked about a Syrian opposition inside Syria. My question is: don’t you think that had you been more tolerant in dealing with this opposition in the past, you would have avoided this conflict? Don’t you bear part of the responsibility? Question 13: Maybe it was difficult for the opposition inside Syria to assemble and to organize itself, before the crisis, and to raise the voice as opposition. Maybe they did not have a margin for movement. President Assad: You are talking about a general condition in the Middle East. This is partly true, particularly in the Arab world. But the question in this case is not that of tolerance. The question has to do with individuals rather than institutions. The question is: what is the institutional action that we should take in order to move forward. This has legal, social, or cultural aspects, because democracy is more of a culture than a law. You cannot proceed with laws while remaining culturally in your place. President Assad: Logically, intervention is not possible, but sometimes reality is at odds with logic, particularly when there are irrational people leading a certain state. That’s why I don’t rule that out for a simple reason: Erdogan is a fanatical person with Muslim Brotherhood inclinations. He is living the Ottoman dream. For him, the collapse which took place in Tunisia, Libya, Egypt and Syria is something personal. This threatens his political future, on the one hand, and his fanatical Islamist ambitions, on the other. 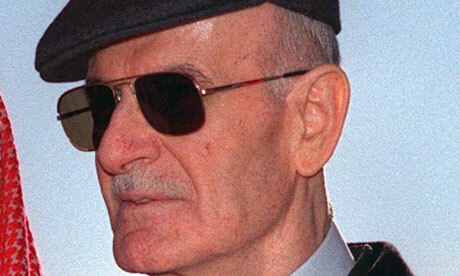 He believes that he has an Islamist mission in our region. The same applies to Saudi Arabia. The collapse of the terrorists in Syria is a collapse of their policies. I tell you that this process is surely not going to be easy for them, and we will certainly confront it. Question 15: Mr. President, are you prepared to give northern Syria to the Kurds as a self-rule area after the crisis? President Assad: This question is directly related to the Syrian constitution; and as you know, the constitution is not given by the government, all sections of Syrian society have a say in it, and it is put to public referendum. That’s why this should be a national question, not a question put to any Syrian official, whether it has to do with self-rule, federalism, decentralization, or any similar thing. All these things are part of the political dialogue in the future; but I would like to stress that the Kurds are a Syrian national group. Question 16: Is it true, Mr. President, that the Russians persuaded, or tried to persuade you, to step down? Don’t you fear a Russian-American deal on this issue? Question 17: Mr. President, are you prepared to give Russia and Iran permanent bases on your territory? And in this case, do you fear that Syria will become a satellite to these powers? Question 18: So, if the Iranians raise this possibility, will you accept? Question 20: Mr. President, the American elections are still at the primaries stage. Are you, personally, with candidate Trump or Clinton? 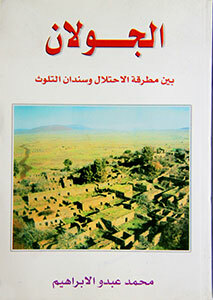 Do you see a third person who might be useful and in the interest of the region? President Assad: We have never placed our bets on any American president. We always bet on policies; and these policies are not controlled only by the president, but by the establishment in general, and by the lobbies operating in the United States. If you look at the competition between many candidates, now or in the past, you will find that it revolves around who is more inclined to start wars, and this doesn’t bode well. Intervention: Who is more aggressive, or more inclined to war, Trump or Clinton? President Assad: The problem with American politicians is that they say something and do the exact opposite, before and after the elections. Intervention: So, the promises made by Trump do not frighten you? President Assad: No. As I said, since I don’t build on what the American candidates say, I see no reason why I should comment on any of them, i.e. they are all alike to me. Question 21: Mr. President, do you intend to be a president for life, as was your father? And if you don’t intend to do that, are you in the process of grooming a successor; and would this successor be one of your sons? 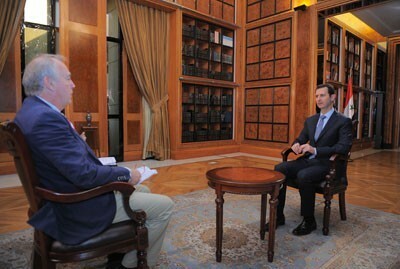 President Assad: First, the presidency is not a hobby that we enjoy. It is a responsibility, particularly in these circumstances. As to my selecting a successor, this country is neither a farm nor a company. If I want to remain president, that should be dependent on two factors: first, my desire to be president, and second, the desire of the people. When the next elections come and I feel that the people don’t want me, I shall not stand. That’s why it’s too early to talk about this. We still have years before the next elections. Question 22: Mr. President, you know that there have been many accusations to your government and to you personally, most recently by the UN investigation committee, which accused you of genocide, which is a crime against humanity. Last month, the UN Human Rights High Commissioner spoke about blockading a number of your cities, like the town of Madaya, and accused your government of committing war crimes, and also about crimes he says you commit by throwing barrel bombs on civilians. Aren’t you concerned that you will one day face an international court? President Assad: First, you know that UN institutions express balance among the superpowers and the conflict among them. And these organizations are now basically controlled by Western powers. That’s why most of their reports are politicized and serve a political agenda. The evidence is that these organizations haven’t said anything about clear massacres perpetrated by terrorist groups against innocent civilians in Syria. What refutes the reports of these organizations is that, first, they do not provide any evidence, and this is the case in general. Second, there is a logic for things: if Western states and rich Gulf states are against an individual; and this individual is killing his people, how would he withstand for five years in these circumstances? That’s why I’m not concerned about these threats or these allegations. Question 23: You said that these reports and institutions do not provide any evidence. But don’t you believe that these reports are correct, particularly the latest report by the UN committee about the death of thousands of prisoners in your prisons? There are eyewitnesses in this case. President Assad: No, there is a difference between individual crimes having been committed and having a state policy of systematic killing. I said that innocent people die in the war. That is true, but war crimes are committed when orders are given to follow a policy of committing massacres for certain purposes. Had this been true, people would have fled from state-controlled areas to the areas controlled by armed groups. What is happening is the exact opposite: everybody moves to the state-controlled areas. Question 24: Mr. President, how do you think you will figure in history, as a man who saved Syria or a man who destroyed it? Question 25: Mr. President, do you still really intend to negotiate with the militants, or are you thinking of crushing them militarily? President Assad: We have fully believed in negotiations and in political action since the beginning of the crisis; however, if we negotiate, it does not mean that we stop fighting terrorism. The two tracks are inevitable in Syria: first, through negotiations, and second through fighting terrorism. And the two tracks are separate from each other. Question 26: Mr. President, what is your comment on the resignation of French Foreign Minister Laurent Fabius? And do you believe that this will change French policy in any way? And would you make any initiative in the war against terrorism towards France in order to make communication possible with it and make it change its policy towards you? 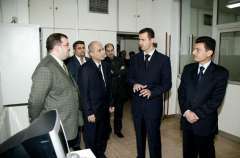 President Assad: Changing personnel is not that significant. What’s important is the change of policies. The French administration changed almost completely between Sarkozy and Hollande, but for us the policies have not changed. They have been destructive policies extending direct support to terrorism. That’s why we should not assume that the foreign minister makes the policies. They are made by the whole state, headed by the president. As to what we can do in Syria, I don’t think that Syria has to do anything towards France. It is France which should do something towards fighting terrorism. So far, it supports terrorists, albeit politically, and in some cases it supported them militarily. It is France’s duty to reverse or change its policies in order to fight terrorism, particularly after hundreds of French citizens paid with their lives for their wrong policies.